1. Do you have access to the latest Salesforce configuration? Have you Installed your system Critical Updates? 2. Are the Apps you’re using on the most up to date release? 3. Have you ever analysed what parts of the system your staff are using? What data fields are used or always left unfilled? 4. Are you using the Non For Profit Success Pack? If not, why? 5. Are you using the correct data model for your org? Do you know what your data model is? 6. Are you using Salesforce Lightning? If not have you thought about moving to Lightning? 7. Do you have a Change management plan in place for your Salesforce Updates? 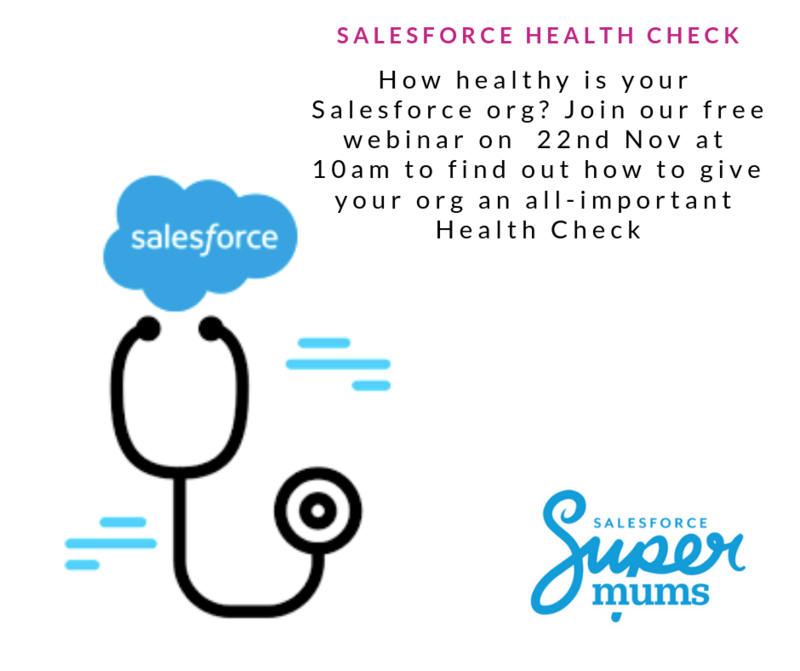 If you are interested in exploring any of these issues in more detail, then join Martin on our Salesforce Champions Membership online Health Check Webinar at 10am on the 22nd November. The webinar is designed to give you the tools to make sure your Salesforce org is working at its best, and we’ll also be talking about out Salesforce Champions Membership. Created for Salesforce Administrators who are interested in upskilling and developing their skills to maintain their Salesforce instance, it’s a paid for membership package. As a Supermum, you’re entitled to our discounted membership rate of £20/month or £200/annually (+VAT). This entry was posted in Salesforce, Training and tagged Salesforce Training.